Just days after being assured by all concerned that David Haye is “100-percent and ready to go” into his December 17 rematch with Tony Bellew, we get another report that says Haye is indeed injured and that the fight is OFF. As per a man with all the news – almost all of it reliable – Dan Rafael of ESPN.com reports how “a source with direct knowledge of the situation” informs how Haye has pulled out with an arm injury. The ESPN report says Haye is set to undergo surgery on his arm soon. So it looks like the fight really is off this time. Haye of course suffered a torn Achilles in the first fight back in March, and with his arm now failing him fans are more than entitled to ask out loud whether or not Haye should simply call it quits and retire. Really, has Haye got some kind of unflattering record as the fighter with the most pull-outs due to injury! 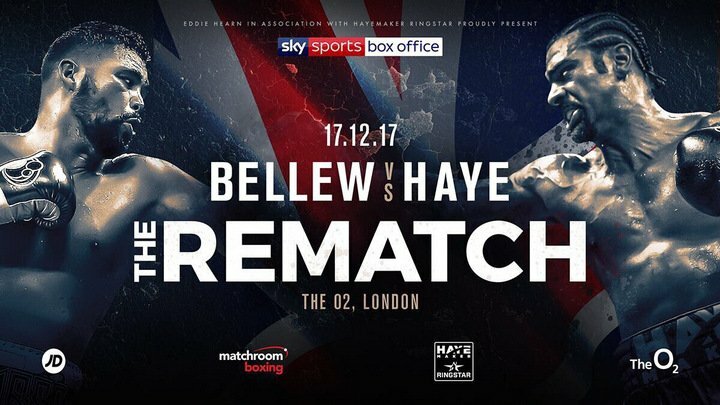 It’s not yet certain if the Dec. 17 rematch will be rescheduled, but even if it is, what makes anyone, Haye included, believe the former undisputed cruiserweight and former WBA heavyweight champ be able to go ahead with the new date? Haye’s body, it seems, is simply falling apart. Fans have lost track of the number of big fights the 37 year old has been forced to pull out of due to one injury or another and it’s likely these same fans have moved on; no longer being interested in Haye. The powerful, athletic and all-round talented Haye was once a very good fighter, even threatening to achieve greatness. But that was a long, long time ago now. Wonder who Tony Bellew will look to fight next instead? Bellew did recently say that if Haye did pull out of their return fight, he would move on and fight Joseph Parker instead. Can and will this fight be made soon?